Please arrive 5 minutes before your appointment to get settled. If you are a new patient we strongly urge you to bring your intake form with you. Upon booking your appointment you will be given a password that allows you to access and download the intake form. We will spend some time talking, reviewing your health history, answering questions and making sure that you feel very comfortable before getting started. The following are JUST SUGGESTIONS ONLY… Drinking as much water as you can comfortably is important- do NOT over-compensate by guzzling a gallon of water. Eat healthy and nourishing foods the day of your session unless you are fasting or on a specific Detox Program. Eating a meal two to four hours before your colonic is ideal, but no food or beverage should be consumed in the two hours before your appointment. You are in the process of taking very good care of yourself so allow for the time and space you need to be in a calm state of mind. Your body responds best to treatment when it is relaxed. A day or two before your appointment drinking 16 to 32 ounces of raw vegetable juice daily is helpful. Raw veggie juice goes to work to help scrub your cells squeaky clean like soap does for us externally. 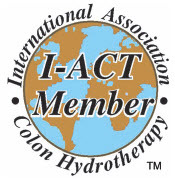 A colonic rinses the released toxins out of the body and away from our internal lining. Drinking the raw veggie juice prior to your colonic helps loosen wastes in the body and starts the cleansing process in advance. A great cleansing formula By Natilia Rose is: One head romaine lettuce or equal to that amount in celery, 5-6 stalks kale, 1-2 apples, 1 whole lemon, 1-2tablespoons fresh ginger (go all organic if you can). You are more than welcome to sit and relax after your session. We ask that you eat very light, pure and easy to digest foods the remainder of the day, no nuts, nothing spicy and ONLY steamed veggies for the day of your session. Try to stay away from raw, overly rich, heavy foods. You have just cleansed your system so well, we want you to allow your body to rest and relax so it can go to work to heal you, rather than to work digesting huge, rich meals. We suggest fresh veggie juice, steamed vegetables, a non cream-based soup, light fish and soft whole grains. Please try to stay away from alcohol it may cause a stomach ache because it is just too strong for your freshly cleansed system. It is just fine to carry on with your normal daily plans or to return to work, LISTEN TO YOUR BODY, you will feel fine.